I’m hoping you can help us write the job description for a learning coach. It may be helpful to build towards a practical guide to coaching by outlining some of the roles a coach can play for the learner that are distinct from teaching English. Here’s a list, which we’d like to develop with your help, of some coaching roles. If you think of more or disagree with any, please leave a comment. 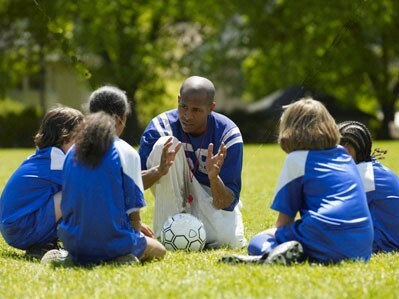 Coaches monitor learners’ motivation levels and suggest ways of boosting enthusiasm. They set appropriate high standards for the learners to reach as well as praise them for the progress they make. They expect the learners to do their part and make an effort in and out of class. They expect them to put in the hours of training required. Coaches make sure time is devoted in class to learners sharing differing learning experiences and helping each other learn better. Coaches help learners organise their study notes and manage their time better. Coaches actively encourage the learners to bring queries to the class and they clarify doubts and questions. They bring errors to the learners’ attention. Coaches recommend books, magazines and websites to encourage extensive reading. They email links to sites that their learners might find interesting, useful or entertaining. They recommend reference books such as dictionaries and grammar books. Coaches are e-vailable as a point of contact throughout the week. Coaches speak to learners in English, providing lots of listening practice. They listen to learners, too. Coaches give advice on how to improve skills, grammar and so on. They supply their students with useful learning tools such as the phonemic chart in order that their learners can learn effectively for themselves. Coaches are language learners themselves; they lead by example. As well as helping us define coaching, we could use this list to reflect on the extent to which we are already coaches for our students. Ask yourself whether and how much these roles and activities are already a part of your teaching life. I’d also like to suggest giving this list to learners as a springboard for writing the even more important English Learner’s Job Description. This entry was posted in Roles, Uncategorized and tagged coach, coaching, coaching activities, identity, motivation, teaching. Bookmark the permalink. I appreciate the mention of private classes to add to the mix – I totally agree that here coaching comes into its own. In regards to large classes we may discover that coaching means less work, not more. After all, coaching involves handing at least some of the responsibility over to the learners. I think some of our activities at the top of the page may help to answer the question about how we can work coaching into large classes. Another way to take the pressure off the teacher here is the fact that people tend to adopt new behaviours such as new learning strategies based on peer recommendations rather than advice from authority. So I say give them time in class to tell each other what to do outside class. Like T’s comment before, this is definitely one of the many roles of the teacher, but again, not exclusively to them. My wife was Accommodation Officer in a school in London and had to teach some Chinese men not to stand on the toilet seat in their host family bathroom. Takes all sorts, doesn’t it? What is ‘coachy’ about this is that learners bring these things to their teacher rather than the other way round. I once had two Japanese girls in my class who needed me to help them express sympathy as the grandmother in a house they were staying in had died and the family was mourning. That lesson isn’t in my usual repetoire! The learners decided what they needed to learn and chose their teacher to help them. Keep them coming, Willow. Are you following the blog? Hi Dan 🙂 Of course I knew, and yes, I’m following the blog. Feel free to add me on Facebook, I’d love to catch up. It’s been a few years and a whole lot of life. I’ve been in loose contact with Duncan over the last ten years. I’d never really thought about a teacher as coach until I spotted this blog, but it rang true. It seems particularly relevant when teaching private tuition, as I have for the last 5 years. As a teacher of 1-4 learners at a time, coaching is incredibly appropriate. People are paying for something more than they would get in a large classroom and they expect to progress more quickly, sometimes they have nearly impossible expectations about how long it will take to prepare for an exam. This requires pushing, pulling, rooting for them, teasing, and praising them in their struggle and knowing when they just need to relax with a beer or go window shopping and vent a bit because the pressure is too much at times. I’m curious as to how a teacher as a coach works in large classes. Or are you putting this forward as yet another aspect of being a teacher; something like all of the jobs a mother or father has such as hairdresser, housekeeper, chef, cheerleader, shoulder, nurse, provider, tailor, coach, psychologist, nutritionist, personal shopper, chauffeur, story teller, etc.? Also, it seems to me that in the role of a coach, both Dogme and TBL in combination with MI are very useful things to be able to pull out of one’s hat at a moment’s notice. Will you be speaking in the future about methods and approaches and how they tie in with a teacher as a coach? Wonderful ideas! I’d like to add “psychologist” – learners appreciate having someone to talk to about their day to day lives outside the learning environment, and all the better when they are able to do so in English. Duly noted, T, thanks! That could well be one for the list, though I’m not sure how qualified I am for this! However, I do think the ‘shrink’ role could well be fitted into the job description for many service industry jobs. Alan De Boton thinks we should have drop-in high street psychoanalysts; what he means by this is that there is a need to offload, to talk about oneself, so having someone who is there to listen patiently and respond helpfully would benefit the whole of society. Although such a place doesn’t exist, there are many people who fill that role for us in the meantime – from teachers to hairdressers. Doesn’t it go without saying that if the paying client wants to use us for this purpose in their lives that it’s only god business to be polite and listen? I’d like to know whether you, or anyone else, see it differently and think that actually ‘pyscologist’ IS a specific role of the learning coach, and if so, why.